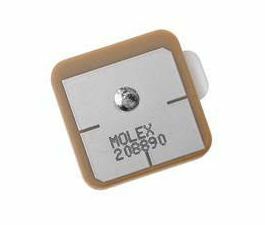 Molex newest compact ceramic antenna incorporates a rectangular microstrip design for GPS right-handed circular polarization wave reception. This RoHS compliant antenna offers low RL and axial ratio with high gain. Its excellent re-stripping characteristics make it easy to install and uninstall. Posted in Product News and tagged 208890, Antenna, GNSS, Low-profile GPS Ceramic Antenna, Molex.